Add color pizzaz to your paintings! 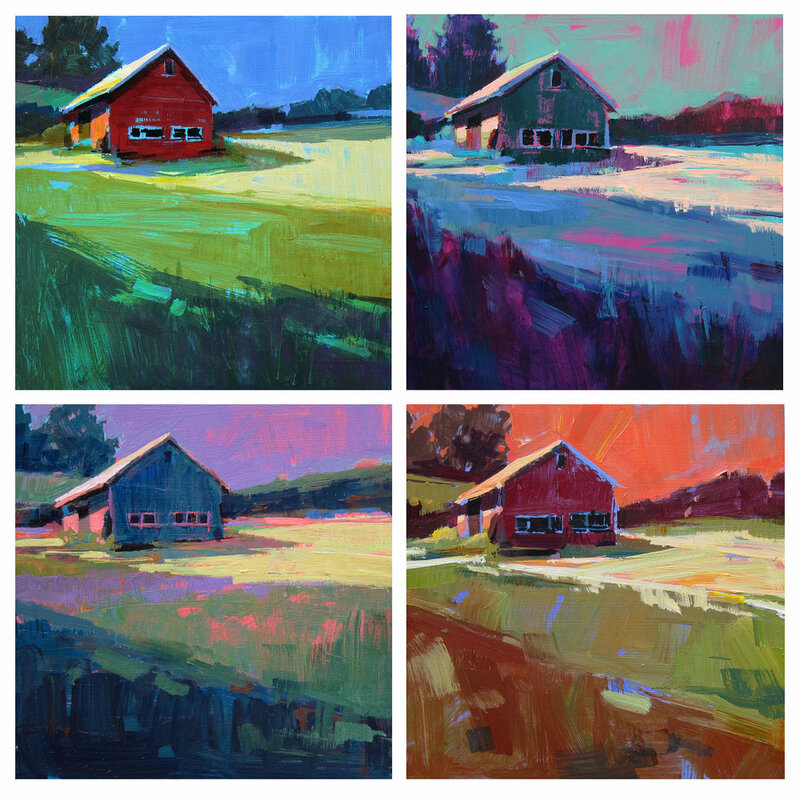 "Bending Reality: Using Color Schemes and Strategies"
This new online format will be offered in addition to my traditional in-person workshops. It is the perfect solution for those who are not able to travel or would prefer to take a workshop at their own pace, in their own space without the hassle and cost of travel. Each class will be recorded and uploaded to a private YouTube site, in the event that you can't be present for one or more of the classes. Watch and learn when time allows.